This week we kicked off a series of sales and promotions that will continue into next week. Be sure to keep your eyes on the blog and the Bramble Berry Facebook page for the coupon codes. If you’d like to be the first to know about sales and specials in advance, sign up for the Newsletter. Newsletter subscribers were given advance notice of coupons and the schedule for coupon release. Paired perfectly with the promotions is a collection of soothing, floral-themed projects. 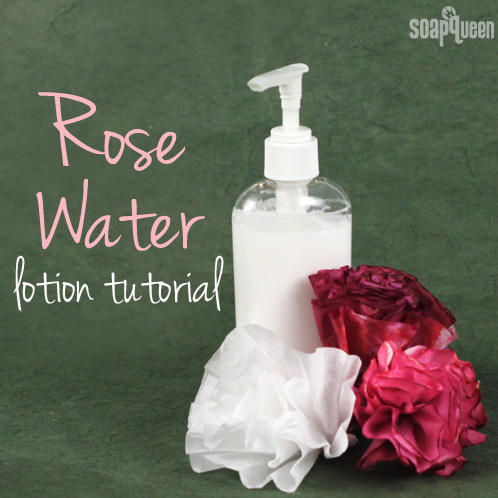 The Rose Water Lotion tutorial uses rose water to give the lotion a light, rosey scent. If you have never made lotion before, it’s a great recipe to get started. The recipe also includes Chamomile Extract, which helps to calm the skin and reduce redness. If you are curious about extracts, the Sunday Night Spotlight: Extracts explains what they are, their special properties and how to use them. The Lavender and Chamomile Goat Milk Bath Tea is another great project for the beginning crafter, and it’s the perfect way to unwind after a long day. If you are looking for more bath time additives, the Soothing Bath Soak with Oat and Lavender is made with Aloe Extract and Colloidal Oatmeal, making it great for dry skin. 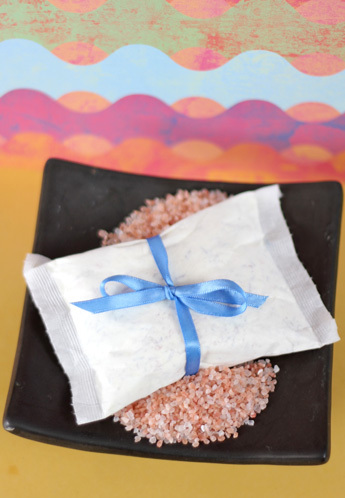 If you are scrambling for a last minute gift for mom, our Mother’s Day Bath Tea can be made in no time! The next two weeks will feature all kinds of exclusive tutorials and specials discounts. We took inspiration from rose, lavender and foxglove blooms, winding pathways and secret gardens tucked away behind giant stone castles. 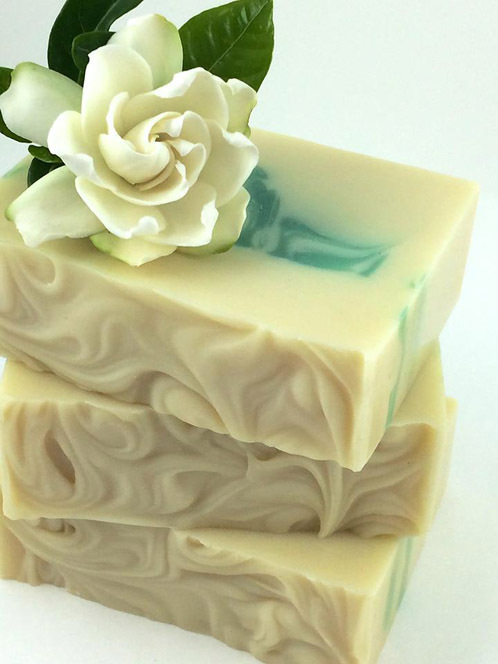 Expect lots of light floral scents, rich colors and tutorials to help you relax and breathe deep. Each day will feature a new special discount, so be sure to watch our Facebook page, Twitter account, Tumblr Blog, newsletter and the Bramble Berry homepage to get the exclusive coupon code. You can find the coupon codes here too! 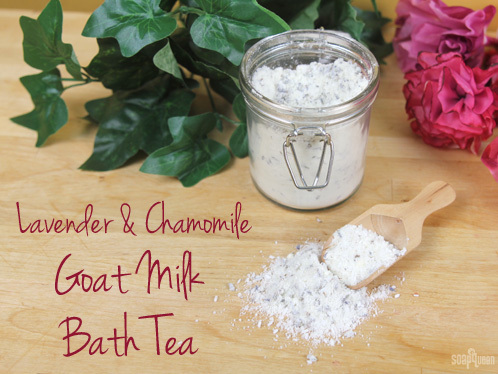 The series kicks off with this Goat Milk Bath Tea tutorial, which features a soothing blend of essential oils, Epsom salts, and of course, skin-nourishing goat milk. This simple, four ingredient recipe only has 4 steps, making it easy to whip together a luxurious bath after a hard day on your feet. What’s so great about goatsmilk? Goatmilk is particularly moisturizing and nourishing to the skin because of capric-caprylic triglyceride. Capric-caprylic triglyceride is an effective skin moisturizer that helps to contribute to skin softness by forming a barrier on the skin to help inhibit the loss of moisture. It is the only milk that contains naturally occurring capric-caprylic triglycerides. The protein strands of goat milk are shorter than other types of milk and are more readily absorbed by skin. Goatmilk also has naturally occurring lactic acid that helps keep skin smooth by encouraging skin turnover (it acts similar to a gentle peel). It also contains many vitamins, specifically A, D and B6, as well as the anti-oxidant Selenium.